Operation Transformation Recipe - Another simple lunch idea. The creamy avocados and juicy tomatoes make for a delicious salad. In a bowl, combine lettuce, tomatoes, olives, mint and avocado. To make salad dressing, put all the dressing ingredients in a screw topped jar and shake well. 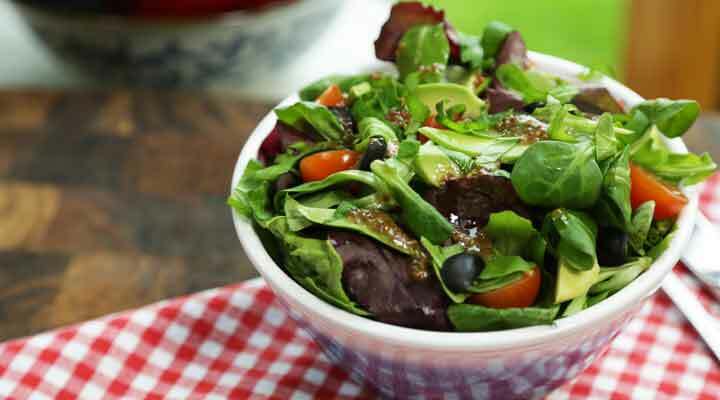 Drizzle lettuce, tomatoes, olives, mint and avocado with salad dressing.